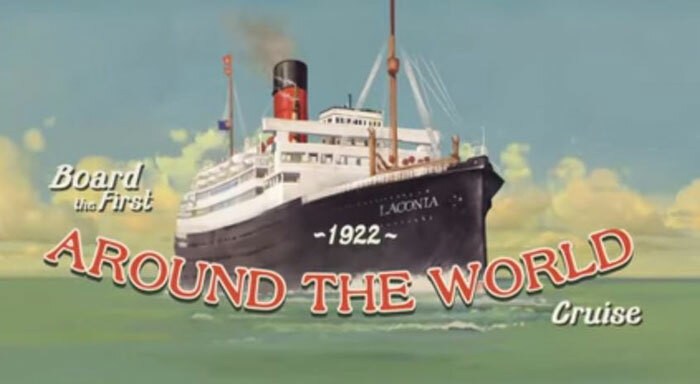 Cunard Line which is one of the worlds most historic cruise lines from the UK is celebrating its 175th anniversary and the cruise line has just released a new animated timeline video showcasing this. The new video showcases Cunard’s 175 years of service and it highlights some of the most memorable moments in its history. The video is all animated and flows from one moment to the next including the lines most iconic vessels. The video timeline begins with Sir Samuel Cunard in 1840 as the Britannia makes its maiden transatlantic voyage to Halifax, Nova Scotia. Also included is Cunard’s participation in WWI, the very first World Voyage in 1922 on Laconia, and the glamour and glitz of the 1950s. the animation continues all the way up to the present year which will be a year of anniversary celebrations. 2015 is going to be a huge year for the British based cruise line and this is just one video of several that have already been released. Also just days ago on January 10th the cruise lines flagship Queen Mary 2 was given a great send off with a fireworks display. The cruise ship was departing on its world cruise from Southampton, UK.